Last year Enlace joined the international call for a World without Walls. Our Prison Industry Divestment Campaign and Freedom Cities & Campus are grounded in international struggle and are in partnership with the movement to free Palestine. Enlace’s commitment to build Black and brown unity transcends borders. We know that in order for our communities to have the freedom to thrive, we must create a world without walls. 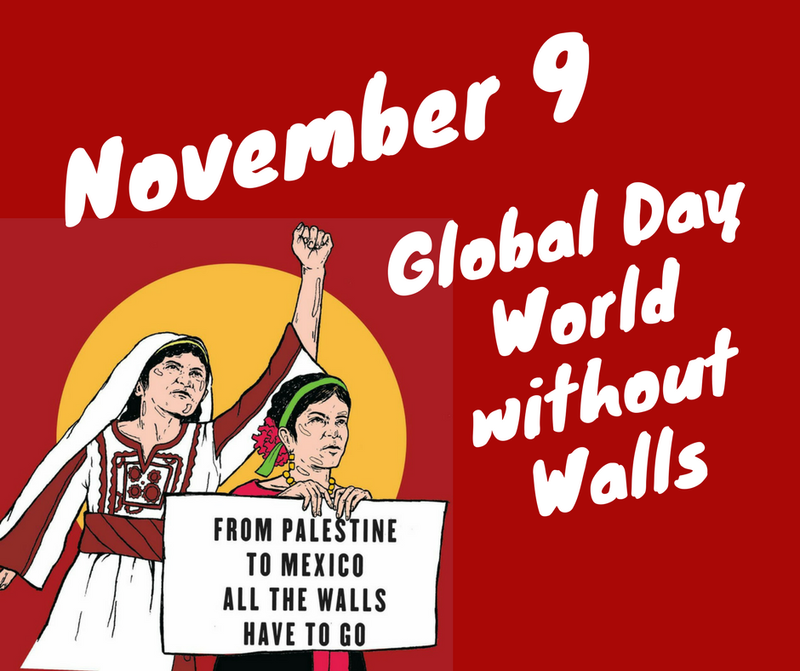 The call for a #WorldwithoutWalls, initiated last year by over 54 Palestinian and 39 Mexican networks and movements, has become a global momentum bringing together inspiring diversity and showing the convergence and interconnection of our struggles. Over 370 movements from all continents, people affected by walls and those striving for justice, freedom and equality have organised, marched, denounced, learned and strategized in a season of mobilization for the Global Day of InterAction for a #WorldwithoutWalls. Bring together our struggles and experiencesChallenge the policies that build the walls in front of our struggles for justiceEnd the architecture of impunity that shields corporations enabling, facilitating and profiting from the construction and growth of visible and invisible walls of injustice.